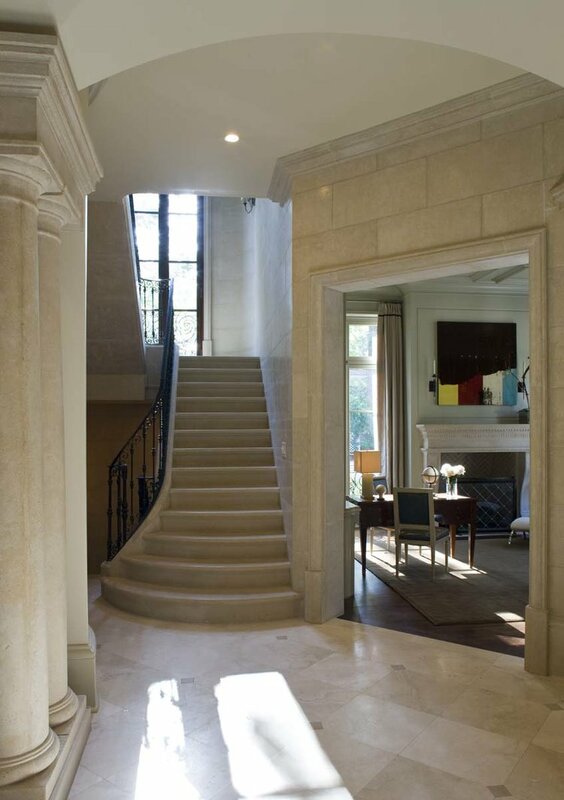 Few features in a home offer as much opportunity for drama and interest as a staircase. They live at the nexus of form and function, and occupy high traffic areas such as foyers. As such, they should be carefully considered when designing your home. 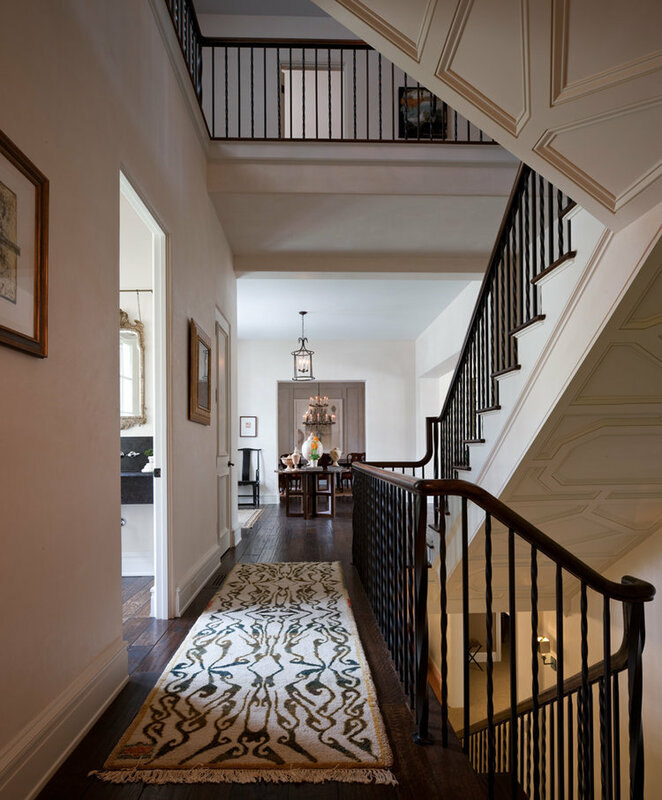 Some residences call for elaborate carved wood railings and beautifully paneled walls along the stairs. 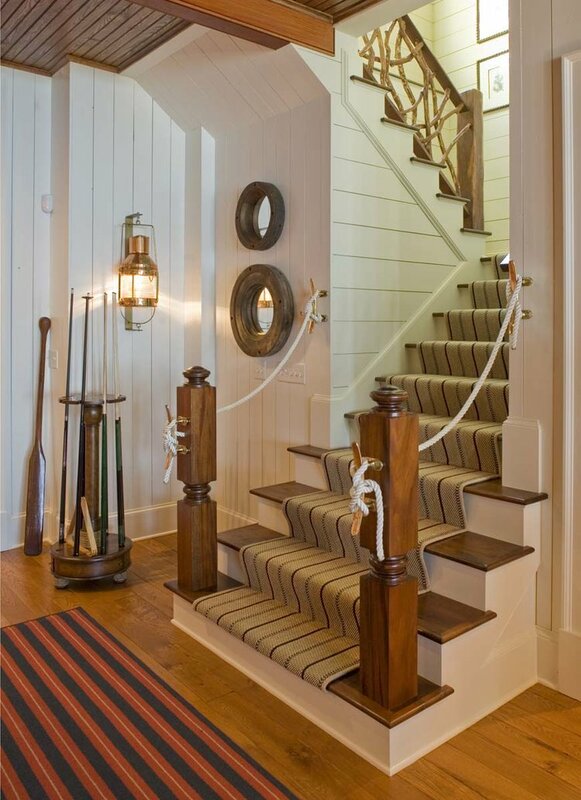 Others, such as resort homes, provide opportunities for more whimsical materials such as rope details. Still others were hand crafted with custom wrought iron railings in and were designed in such a way as to create vast wall spaces for art installations. 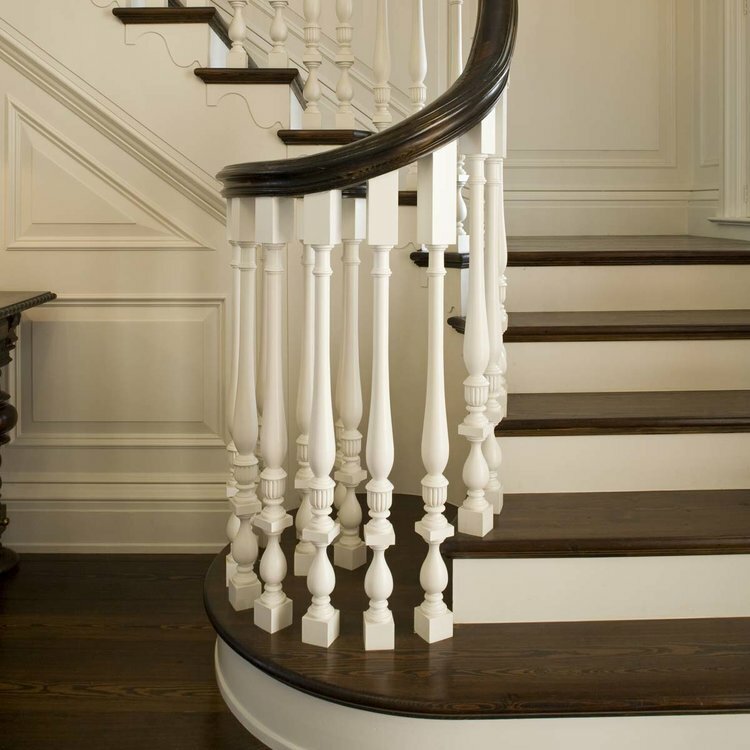 Regardless of location or size, no two staircases for our clients are alike. 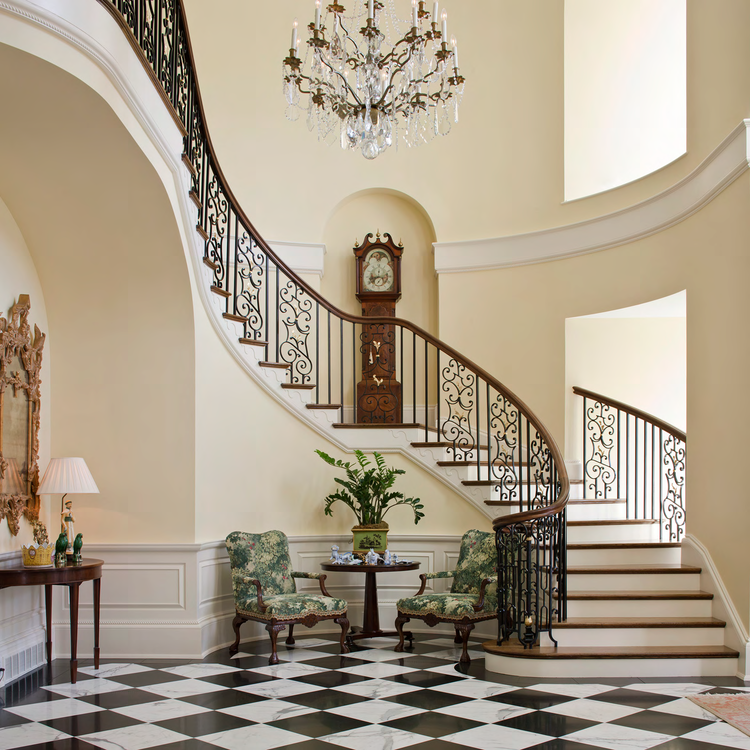 Enjoy these examples of staircases we've designed for clients. You'll see that there are endless opportunities to express creativity, provide placement for art collections, create visual interest and make a grand statement. Click on any image above to be taken to the project gallery for that home. What can we create for your family?